Words & Pictures by Andy & Amy. Andy is studying Geography, Political Economy & Indigenous Studies at Sydney University and has been involved with ASEN for a couple of years. Amy is in her first year of a Bachelor of Science and Fine Arts, studying psychology and biology and has only recently, but enthusiastically, become involved in ASEN. We recently participated in a citizen science trip up to Vickery State Forest. 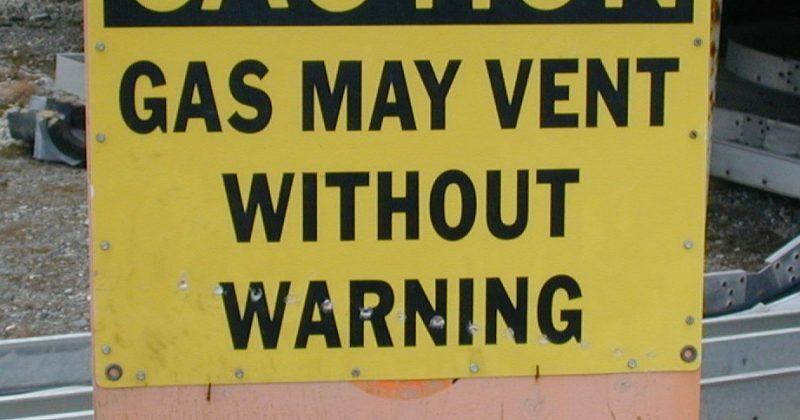 Coal & coal seam gas mining in north-western NSW has been the target of enormous protests in recent years. 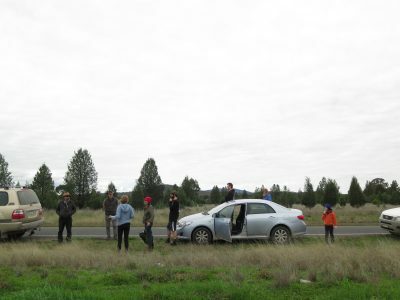 ASEN members have been involved in campaigns in the Pilliga, near Breeza and at the Leard Blockade near Maules Creek. 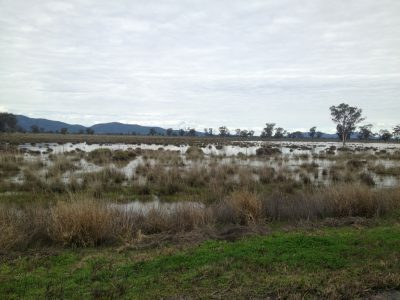 There are enormous plans by the fossil fuel industry to turn the Liverpool Plains into a new Hunter Valley – a once-rich agricultural area now pockmarked by coal mines. 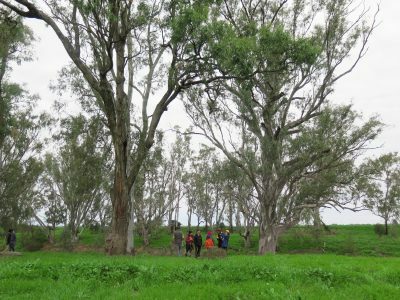 A diverse coalition of farmers, environmentalists and the local Aboriginal traditional owners, the Gomeroi, have come together to oppose the industry’s destruction of farmland, biodiversity and cultural heritage – not to mention the contribution which these projects will have to global climate change. On Friday the 5th of August, we drove up to Maules Creek, spotting an echidna wandering off the road as we arrived late at night. We were welcomed with hot tea and hot water bottles, a blessing in the near-freezing north-west night. Our weekend getaway wasn’t only to check out the beautiful scenery and animals, we were there to help out the Leard Forest Research node, a citizen science group focused on effects of coal mines in & around Maules Creek on local community & environment. 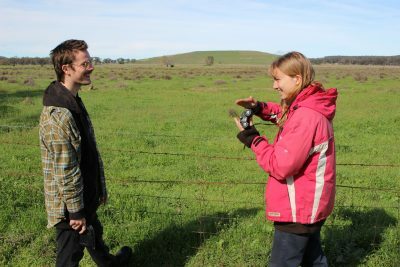 Waking up to a chilly Saturday morning in a cottage on a local farmer’s property, we met some of the group – a diverse bunch of people including locals, farmers, environmentalists, Gomeroi people and other students. 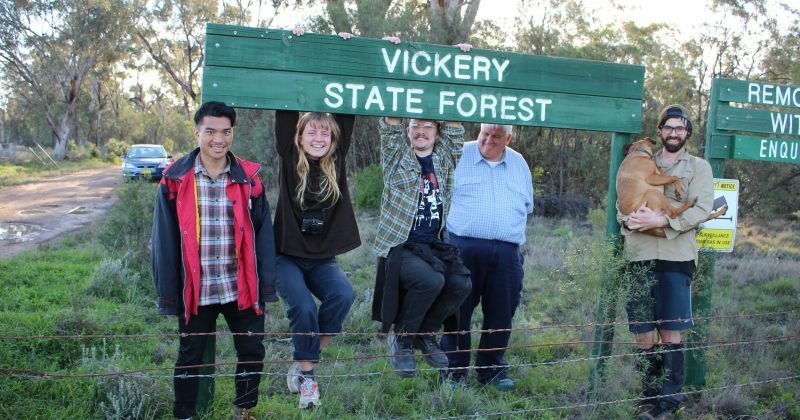 We drove out to the Vickery State Forest, a beautiful area to the south-east of the Leard State Forest which has been largely destroyed by open-cut coal mines. 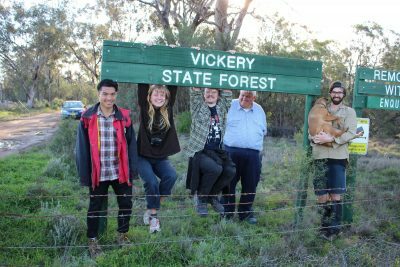 Vickery Forest is also threatened by a planned “expansion” of the Vickery coal mine, which would see the destruction of the vegetation and the animals that depend on it. It turns out this expansion is basically a whole new mine project, vastly larger than the one which was originally approved and which will be even larger than the existing open-cut mines in the area. 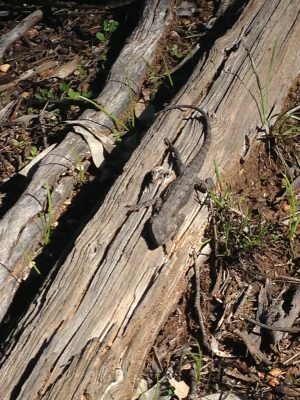 The Leard Forest Research Node is using citizen science to challenge the further expansion of coal mining in the area. Our main aim for Saturday was to do some preliminary vegetation surveys & look for Koala habitats. We broke off into groups and sure enough found some good stands of critically endangered White Box-Yellow Box-Blakeley’s Red Gum Grassy Woodland and although we didn’t spot any koalas we found some koala scats, meaning that they’re certainly around. We headed back to the cottage and a beautiful view of the sunset over the plains. On Sunday, we continued looking for koalas in another area in a travelling stock route next to the Namoi river, next to the proposed mine site. 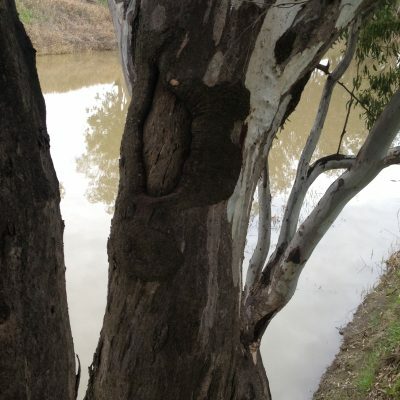 As it’s only a couple of hundred metres from the river, there is a lot of community concern about the high likelihood of impacts on the river as well as on groundwater. There is a feature documentary about the Leard Blockade, now available on DVD. For more info about the impacts of coal mining on local farmers, ABC recently released this program. SBS made this short piece about the destruction of Gomeroi/Gamilaraay cultural heritage by coal and CSG mining. The USA is no longer the largest importer of oil, their president made a public speech linking extreme weather conditions to the burning of fossil fuels and last year a record number of coal plants were shut down . In Australia the carbon tax has been subsumed into our existing economy, reinforcing the idea that the environment is something mildly inconvenient that we should make some small sacrifices towards in order to support. CSG coming to a backyard near you! We’re standing on the edge of a quarry. At the far wall my eyes travel up through a dissection of the earth’s first 50m, layers of shale, sandstone and earth in shades of grey, yellow and brown. Atop the hill, grey-green against the fields and the sky is a gas plant, the central point of a new generation of resource extraction South West of Sydney, sucking gas from drills up to 4km underground in a radius of 100km around the plant. In February this year, the University of Sydney appointed a new Chancellor, Belinda Hutchinson. This appointment opens the door to the mining industry on our campus and reflects the neoliberal orientation of our education system. Ms Hutchinson is currently a director of one of Australia’s largest companies. AGL makes its money through coal seam gas extraction, a technology that threatens Australia’s productive farmland, fractures our waterways and underground aquifers and pours climate-change-causing methane into the air in large quantities. It is a corruption of a public office for Ms Hutchinson to remain a director of AGL whilst also directing the interests of our supposedly independent University. Ms Hutchinson is also a former director of the Centre for Independent Studies, a right wing think tank that churns out neoliberal ideas for business interests. With her at the helm we can be assured that our education will be geared to make profit. That means more deals to do research and courses for the mining companies that are undermining our health and our climate. Sydney Uni already carries out research for Rio Tinto, Origin Energy and Exxon Mobil. Our public institutions should be carrying out research and training in the public interests, not in the interests of big business. 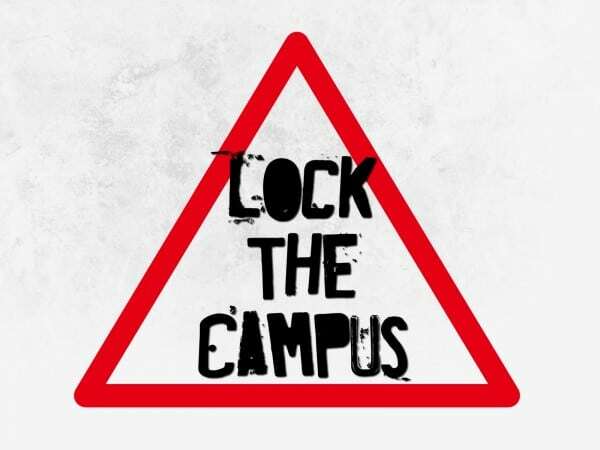 That’s why the Student Environment Action Collective is keen to get on board the Australian Student Environment Network campaign to Lock the Campus against coal and gas companies. As students, we have the power to demand that our universities stop supporting the mining industries that are ruining the health of our communities and our planet. We will fight to make our public universities prioritise renewable energy and sustainable communities over corporate profits. 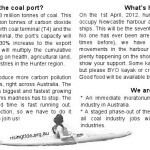 On the 1st April, 2012, hundreds of people will peacefully occupy Newcastle harbour and prevent the passage of coal ships. This will be the seventh action of its kind in Newcastle. In previous years we have successfully stopped all ship movements in the harbour for the entire day. Organise to come with a group of friends, or send an email to the SEAN e-list (sean-nsw@enviro-geek.net) to network with people travelling similar routes to you. It’s about 10 minutes walk from Newcastle Station. There’ll be plenty happening on the shore too, so please come along and show your support. Some kayaks will be available to borrow, but please BYO kayak or creative floating vessel if you can! Good food will be available by donation. Feel free to appropriate the text into another flyer.